I build software that goes where ever you do. I’m currently at Achievers in Toronto heading up their Mobile Development. Android application for remote controlling Mac and Windows computers over a WiFi network. It’s available for download on Google Play along with its supporting desktop applications on the Ticklebug website. An extension for the media player Banshee, written in C#, that allows users to share their music collections with their instant messaging friends. Sharing can involve broadcasting what you’re currently listening to as well as downloading and streaming music. 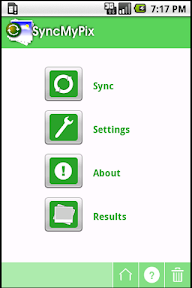 Android application that simplifies the task of adding photos to phone contacts by automatically syncing profile photos from social networking friends. I’ve been known to contribute to Banshee from time to time. When I do things worth sharing, I usually share them through Github.